Since 1995, the area around Ben Lomond, including the mountain summit, has been designated as a war memorial, called the Ben Lomond National Memorial Park. 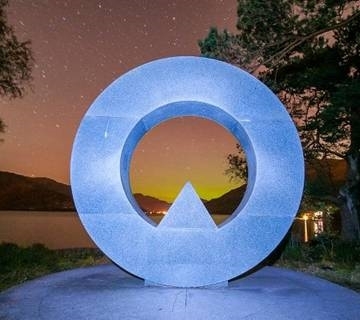 The park is dedicated to those who gave their lives in the First and Second World Wars and was created out of the former Rowardennan Estate with the support of the National Heritage Memorial Fund. 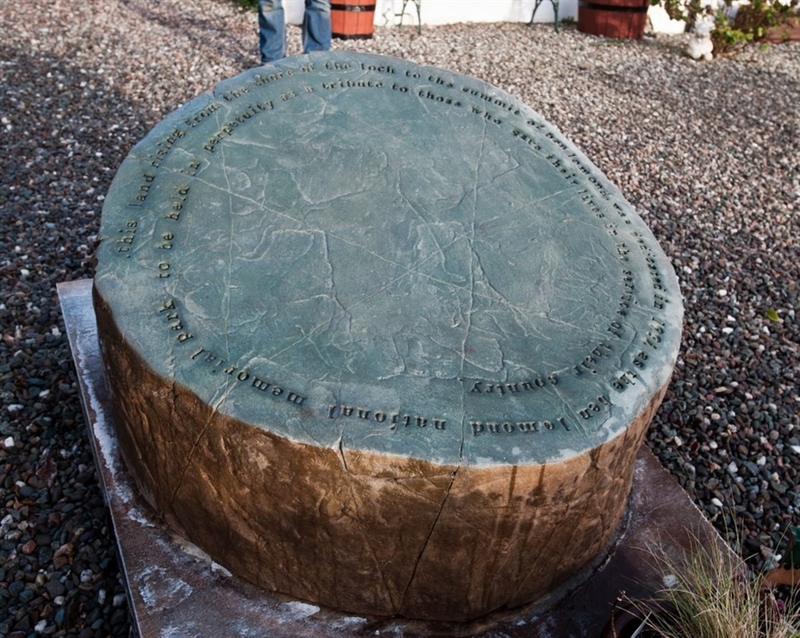 The Memorial Park was officially opened on Armistice Day in 1997 by the Rt Hon Donald Dewar, then Secretary of State for Scotland and later becoming the first First Minister of Scotland. 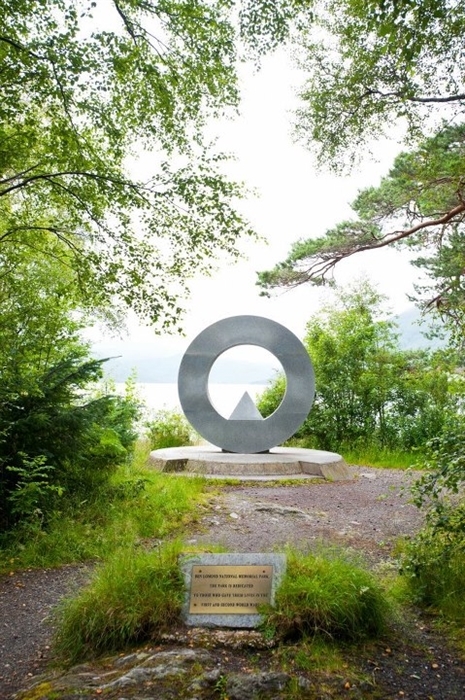 At the opening ceremony he unveiled a granite sculpture by Doug Cocker, a Scottish artist who had won a competition organized by the Scottish Sculpture Trust to design a permanent monument for the park. At the time of its creation, management of the Memorial Park was entrusted to the NTS, Forestry Commission and the now defunct Scottish Office. In 2002, the Scottish Parliament created the Loch Lomond and the Trossachs National Park, the first national park in Scotland. The national park entirely encompasses the Ben Lomond National Memorial Park.